Secure, environmentally responsible recycling and disposal of your old electronics. PADNOS collects your end-of-life and post-industrial scrap electronics (e-scrap, e-waste). We provide expert IT Asset Management Services, including the secure destruction of personal, proprietary, sensitive or classified information for manufacturing companies, large and small businesses, municipalities and governmental agencies. To ensure privacy and protection for our customers, items are dismantled and processed in our secure, state-of-the-art, recycling facility. PADNOS is compliant with federal and state recycling laws and reporting requirements. Our dedicated, 9,000 sq. ft. e-scrap recycling facility offers 24-hour video surveillance and restricted key-card access, meeting the electronics industry’s highest standard for security. We can wipe your data and/or shred your hard drives, and as certified e-scrap recyclers, we ensure proper disposal. Based on your specifications, PADNOS can wipe all data and/or shred your hard drives. We adhere to industry guidelines for media sanitization, as required by the Sustainable Electronics Recycling International (SERI) R2 Certification Standard, and in compliance with the National Institute of Standards and Technology (NIST) 800-88 Standard. PADNOS is registered with the State of Michigan Department of Environmental Quality (DEQ) to collect and process electronic scrap (electronic waste). Recycling your electronics at a certified e-scrap recycler like PADNOS helps to reduce the amount of old equipment that is disposed of in landfills, which lessens the resulting damage to the community and environment. 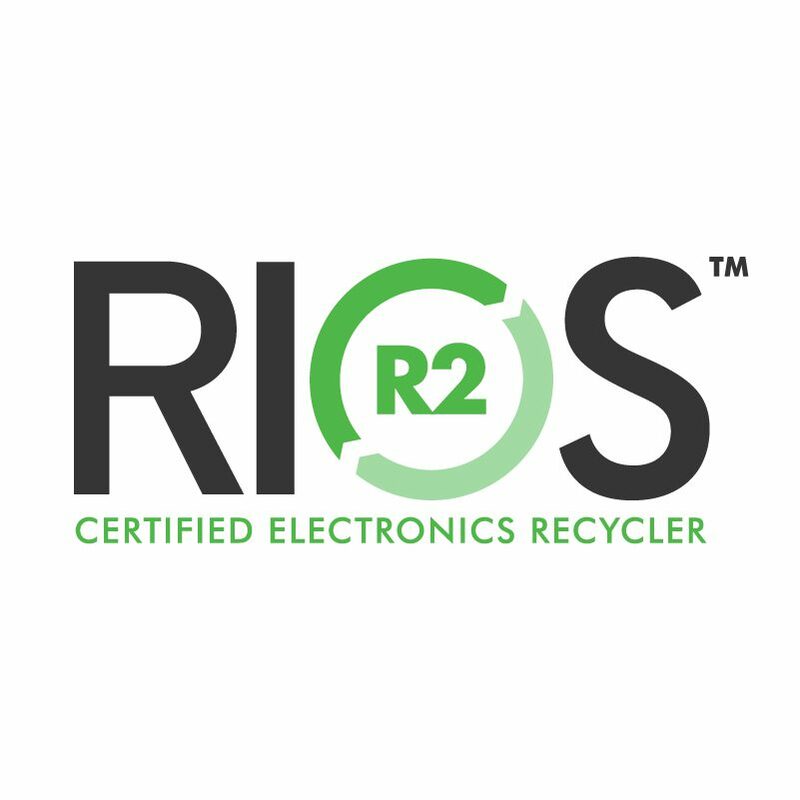 In our electronic recycling facility at the PADNOS – Wyoming location, we operate a Quality, Environmental, Health & Safety Management System that complies with the requirements of the RIOS:2016 and R2:2013 standards. The cornerstone of our program is our QEH&S Policy, which describes our commitments to stakeholders. 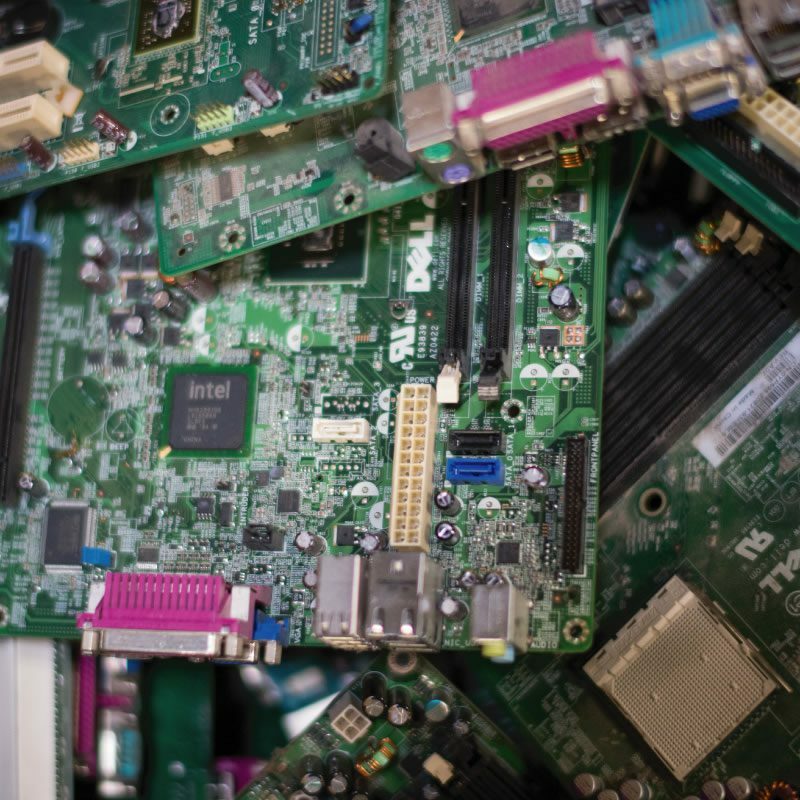 Why it’s so important to recycle computers, laptops, smartphones and other scrap electronics. Scrap electronics contain toxic heavy metals and chemicals. Using incinerators or landfills to dispose of these items allows toxic substances to be released into the air and groundwater, creating serious threats to public health and our environment. To ensure that your scrap won’t be dumped, always use a certified electronics recycler who follows media sanitization standards (SERI R2, NIST 800-88) and maintains State DEQ permits to collect and process electronic scrap. For a fee, PADNOS will properly dispose of the following items: CRT monitors, CRT TVs, LCD flat panel TVs, LED TVs and monitors, plasma TVs, wood console TVs, alkaline batteries, lithium primary (button) batteries, and more.